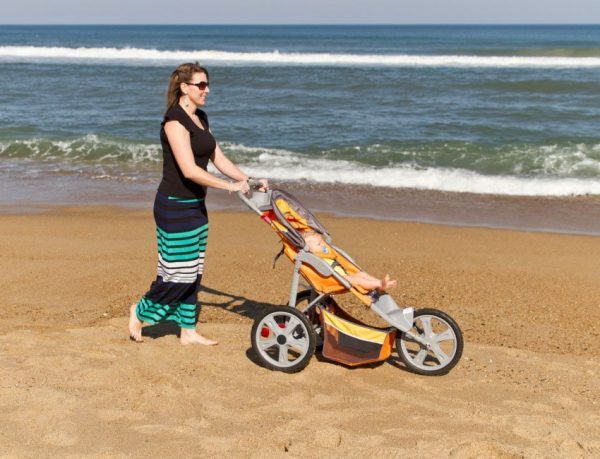 Baby Jogger will allow you to go in sand, seating for one. 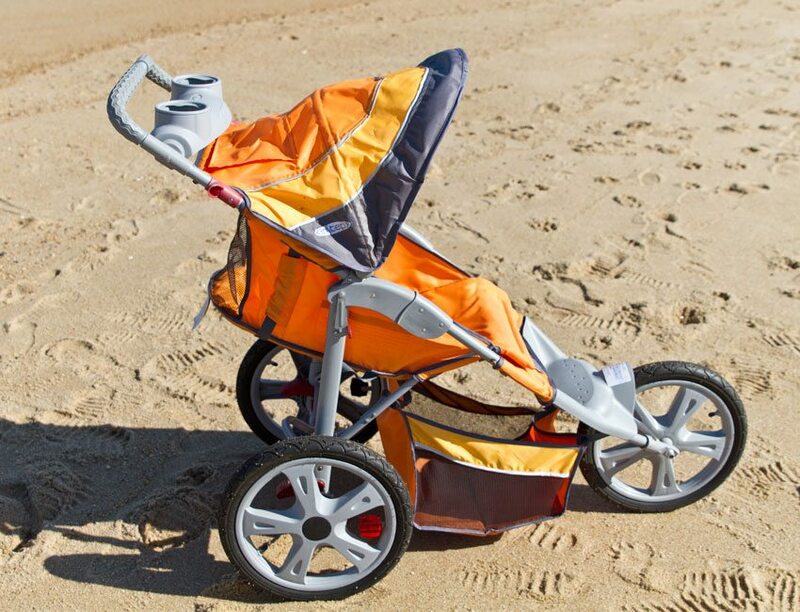 This single jogger style stroller is ideal for taking on the beach. 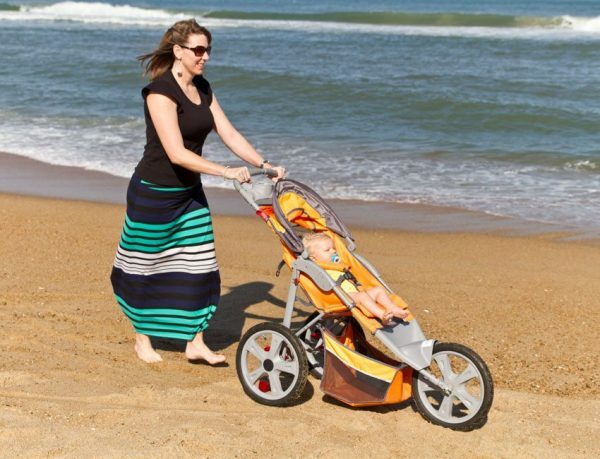 With large 16” pneumatic quick- release wheels, this jogger glides over the sand gracefully! The single jogger features rear shock absorbers to soak up bumps, a padded seat that reclines for maximum comfort, and an adjustable 5-point safety harness with shoulder pads, reflective stitching for increased visibility, and a rear parking brake. The jogger also has seat back storage for all of those child necessities. The quick-release latches allow easy fold up for transporting. 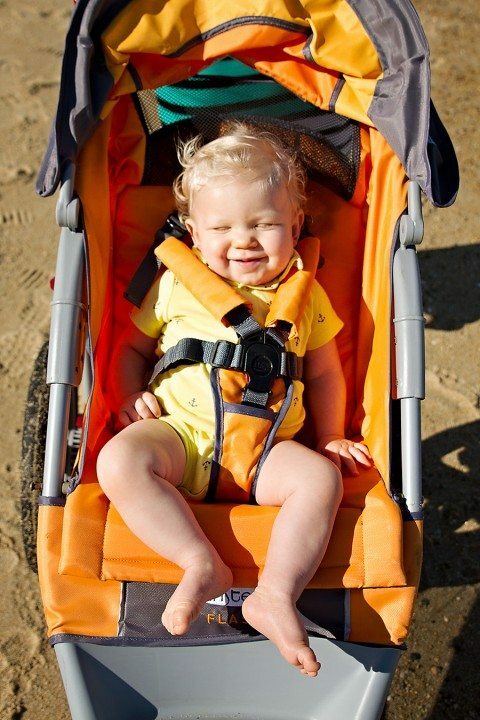 This jogger has a 50 lb weight capacity and is not recommended for children under 25 lbs.